When you live in a climate that’s cold, like really cold, for five months of the year, you don’t mess around with outerwear. But that doesn’t mean you’re willing to forgo your fashionable tendencies. Luckily, Eleven Elfs, the Italian outerwear brand known for its stylish coats in vibrant colours, has launched in select stores across Ontario and Quebec. Created for what founder Manuel Luciano calls the “classy adventurer,” the brand takes its inspiration from the fantastical colours and wondrous sceneries of Michael Ende’s fantasy novel The Neverending Story. This translates into elegant and dazzling outerwear that boasts luxe accents like fur trim and unique colourblocking details as well as high-end functional features like premium down fill, durable and wind-resistant outer shells, storm cuffed sleeves and fleece-lined zip pockets. 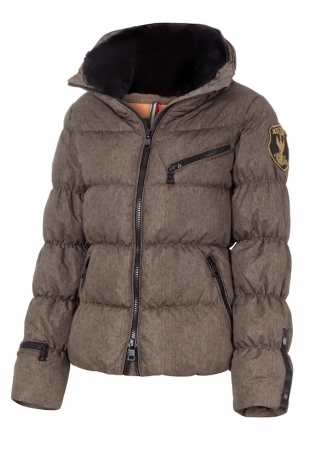 Styles include vests, bombers, jackets and coats that are ultra lightweight and supremely warm.